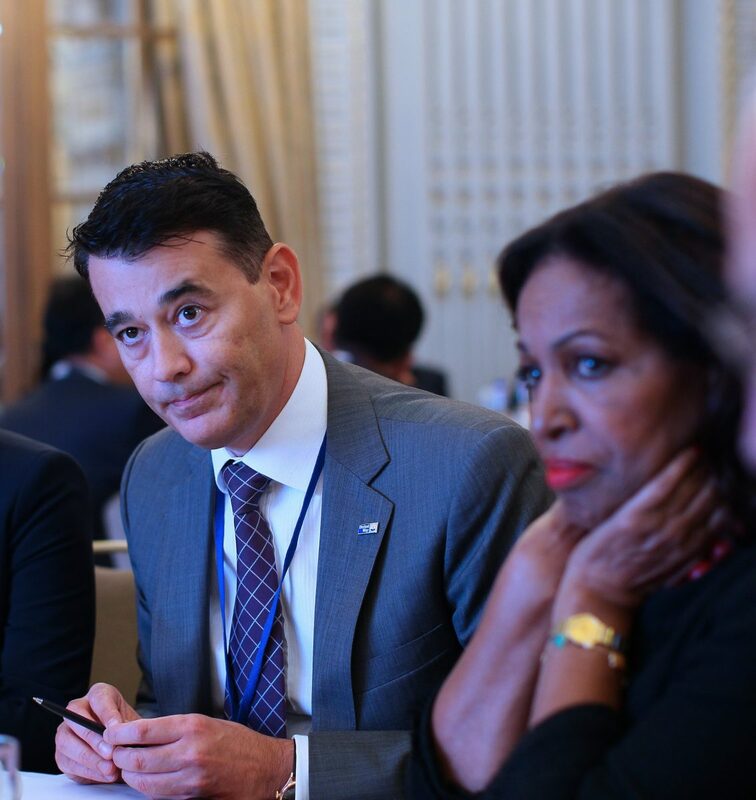 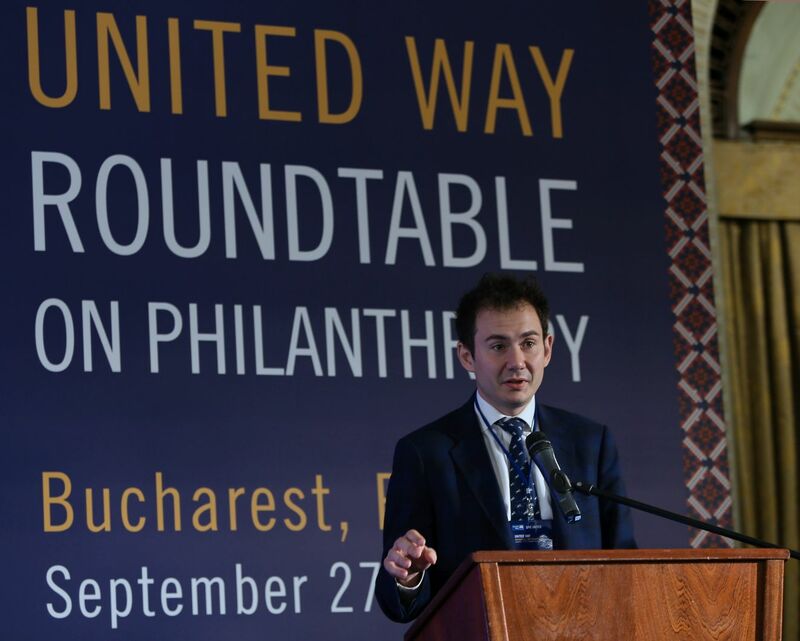 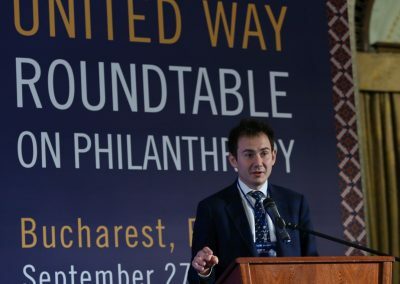 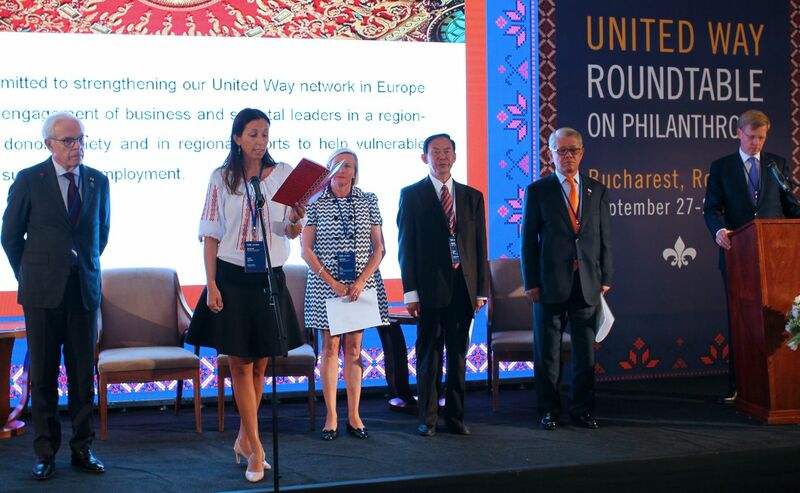 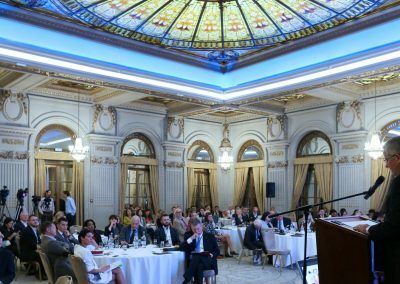 Romania hosted for the first time, on 28 and 29 September, the United Way Roundtable on Philanthropy. 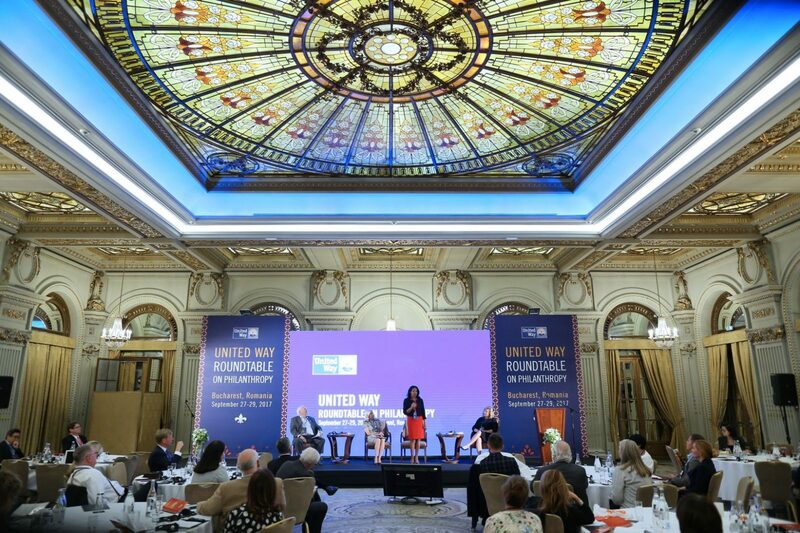 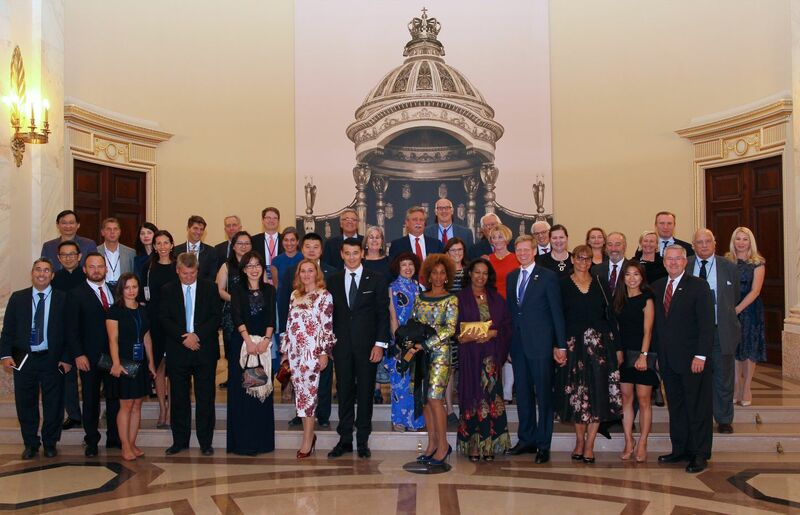 The event gathered the most important donors and volunteers from all over the world, people who are contributing to programs of the biggest nonprofit organization, United Way. 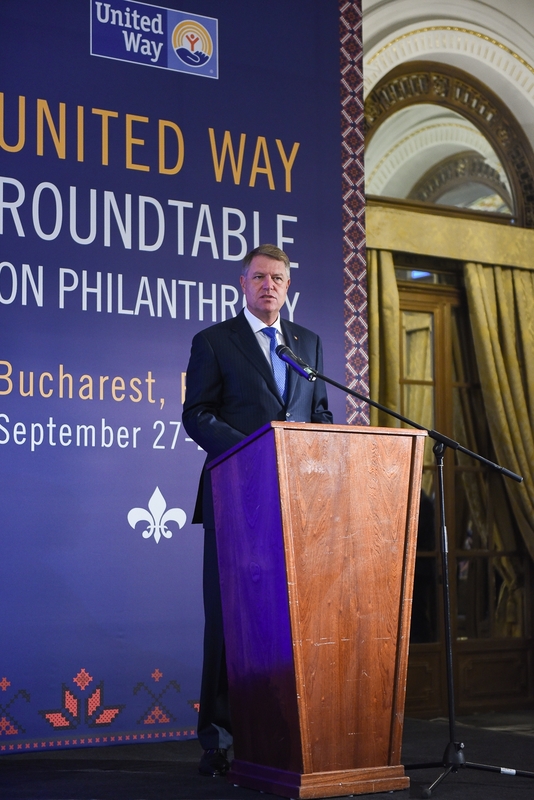 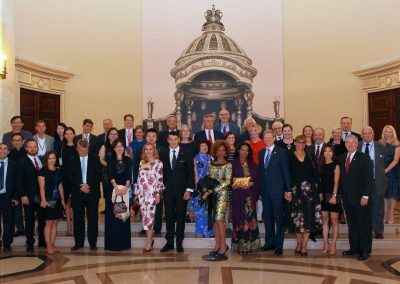 The opening took place on the 28th of September, in Bucharest, in the presence of His Excellency, Mr. Klaus Iohannis, the President of Romania. 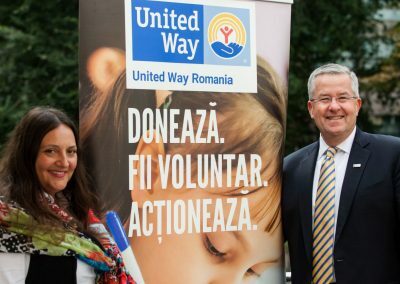 “For more than 10 years, Romanian organization United Way has continued to have a major impact on disadvantaged communities in our country. 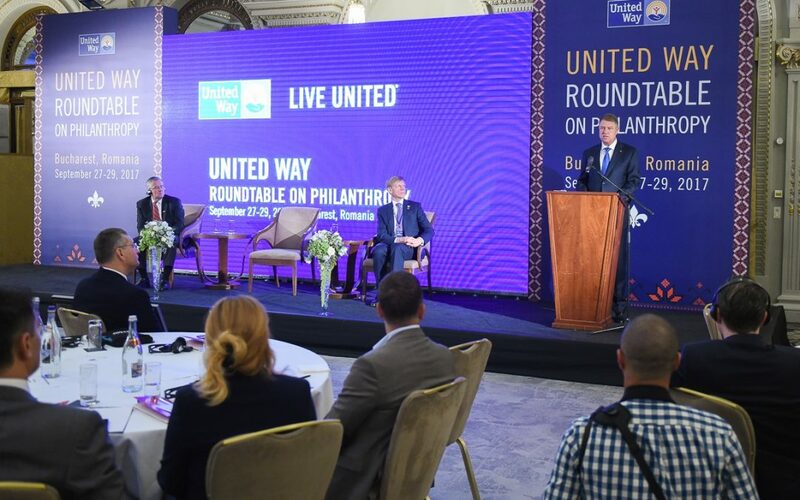 The charity work that you initiate and support in fields such as education, health, and socio-professional integration contributes to improving life quality to thousands of people. 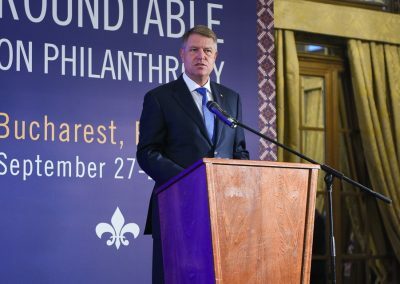 All this time, you have succeeded in giving many children and young people the chance to live a beautiful future, in the way they have imagined it. You are role model worth following in that you do not forget to turn some of the benefits to those in complicated situations. 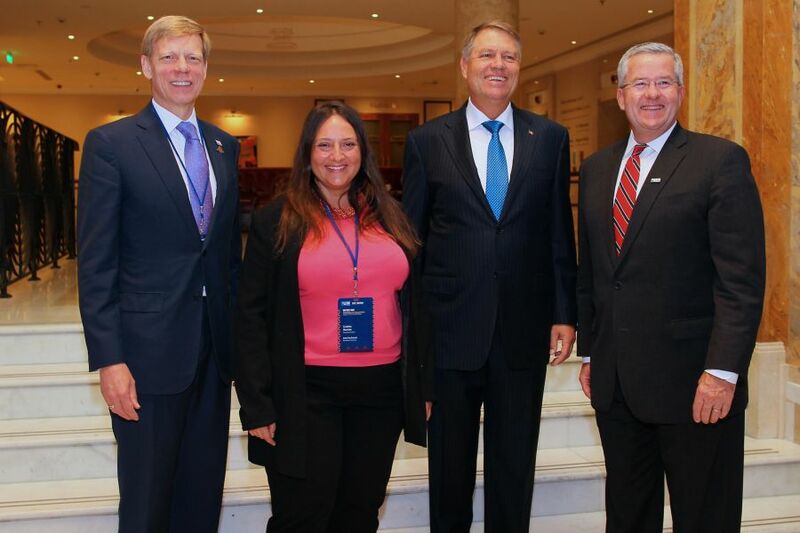 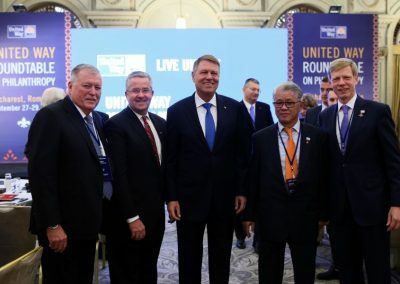 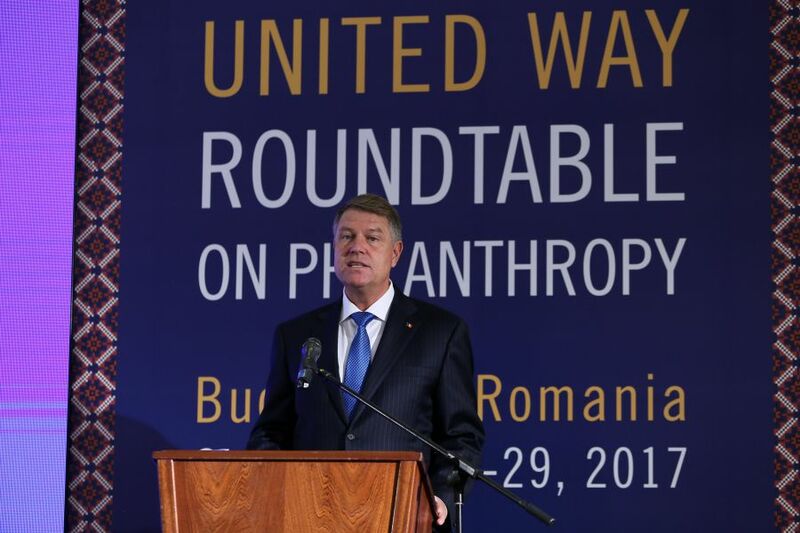 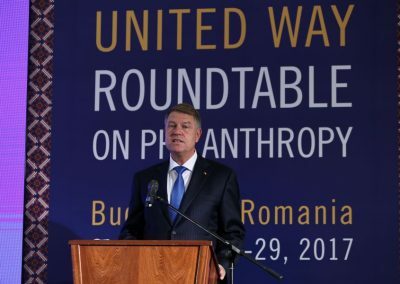 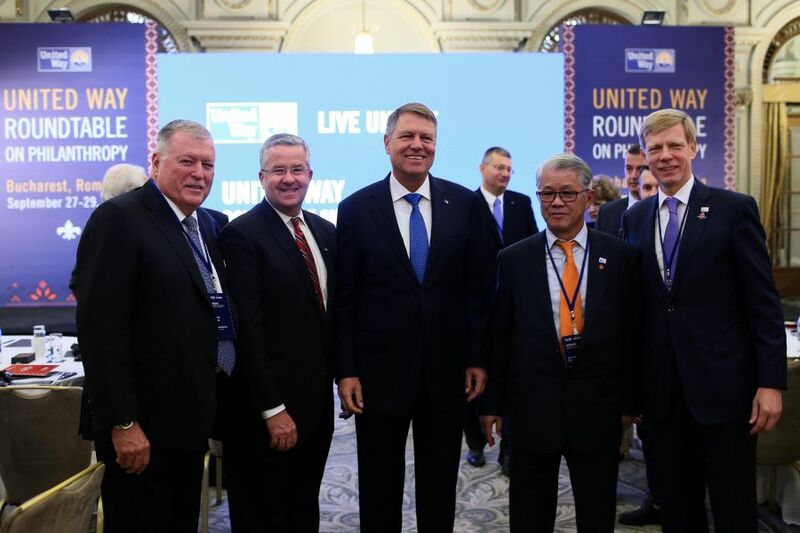 Generosity, kindness and caring for others are some of the key features that characterize you.” – His Excellency, Mr.Klaus Iohannis, the President of Romania declared in his speech. 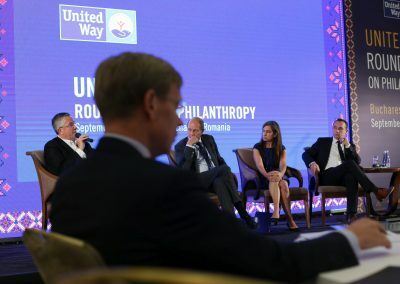 The United Way Roundtable on Philanthropy is a meeting where elite philanthropists from all over the world are sharing ideas and are developing viable, long-lasting solutions to important, global problems. 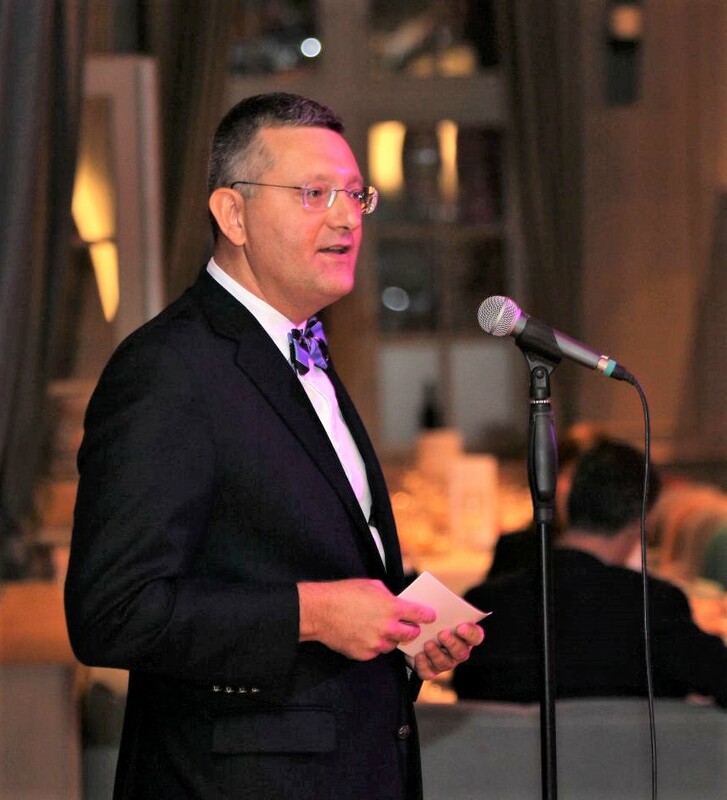 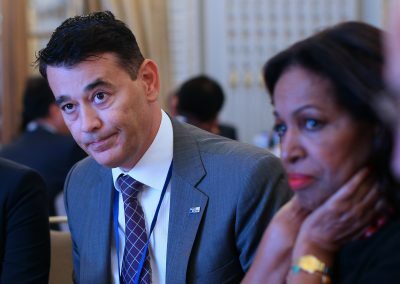 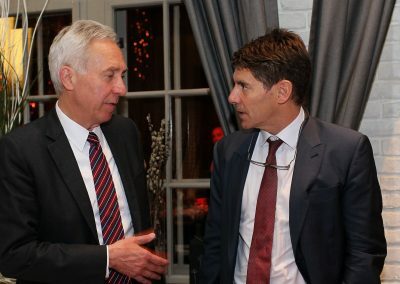 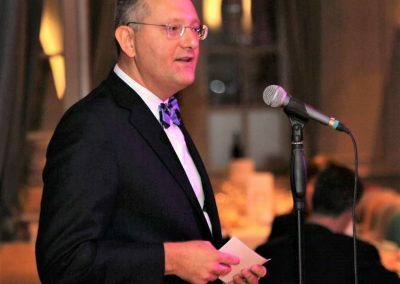 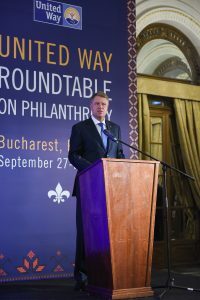 The event in Bucharest represented a unique opportunity for the business community in Romania to meet with global philanthropy leaders, worldwide influential individuals, who are successful in business and who gave the resources and the desire to promote a charitable spirit and to get involved in the community. 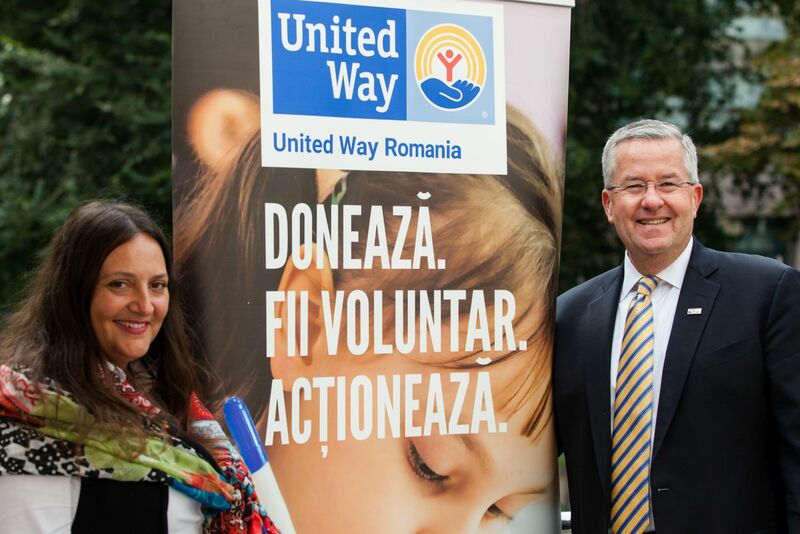 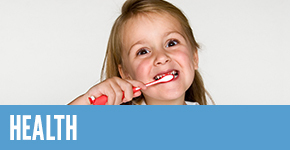 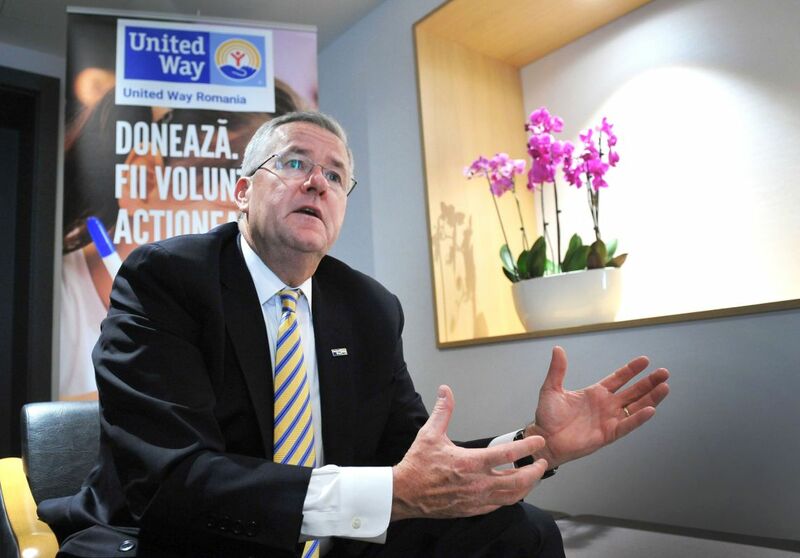 “We are relying on a partnership with leaders in the business community in Romania. 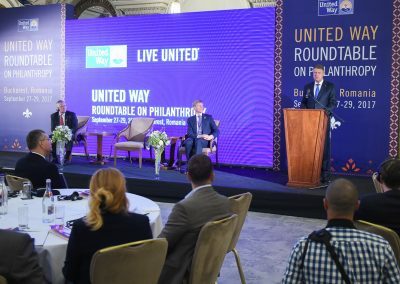 Hopefully, their involvement will be an example for all those who can contribute to United Ways’ programs by making time, resources and experience available to create a better community. 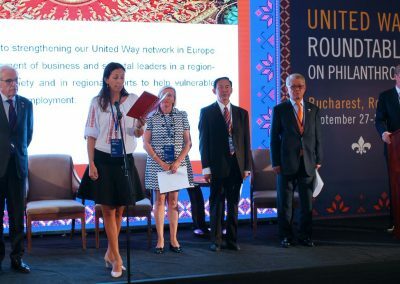 At United Way we know that no organization that can solve alone the problems of a community and we know that every each and every one of us is needed- whether there are companies, business people, individual donors or organizations – to get involved in creating a real and sustainable change”- stated Cristina Damian, Executive Director of United Way Romania at the end of the event. 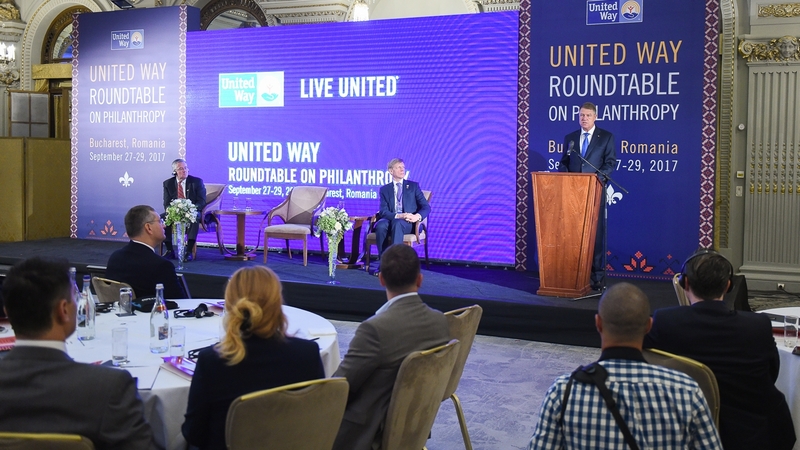 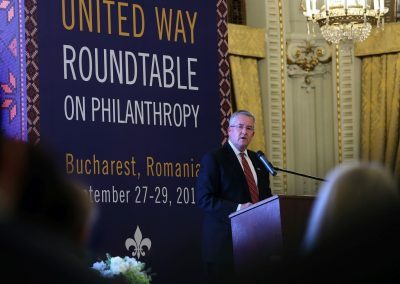 At the United Way Round Table in Bucharest, the discussions emphasized on reducing economic and social inequality by providing more access to education, health services and income for a decent living for all community members, as well as finding in which way individual donors and successful companies can contribute to solving the problems of the community. 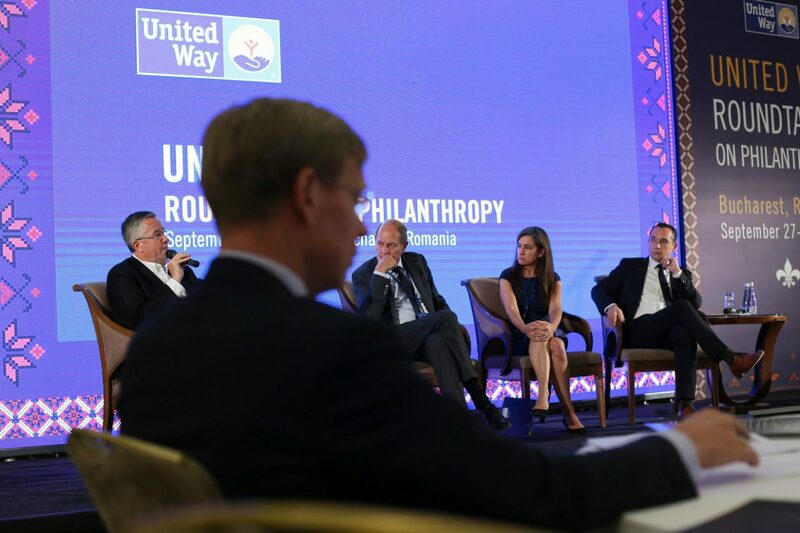 Among the speakers at the event were Brian Gallagher (President and CEO of the United Way Worldwide ), Michael K. Hyde (President and CEO of the Western National Group, member of the United Way Worldwide Leadership Council), Steven van Groningen (President and CEO of Raiffeisen Bank Romania), Theirry de Montbrial (President of the French Institute for International Relations), Andrei Mihai Pogonaru (Central European Financial Services), Machiel Salomons (the United Nations Refugee Agency) and Taiye Selasi, author of best-seller novel Ghana Must Go. 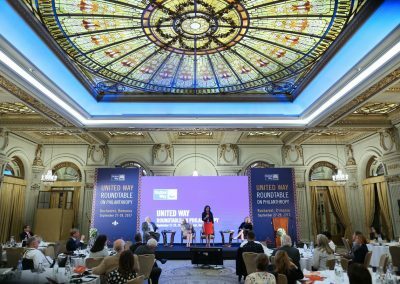 For the participants at the United Way Roundtable on Philanthropy, the event was also an opportunity to become a member of the Alexis de Tocqueville Society. 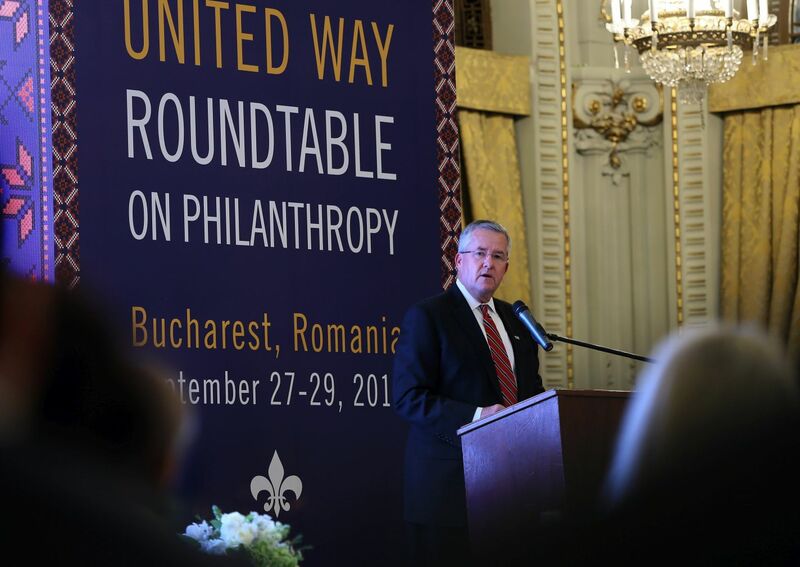 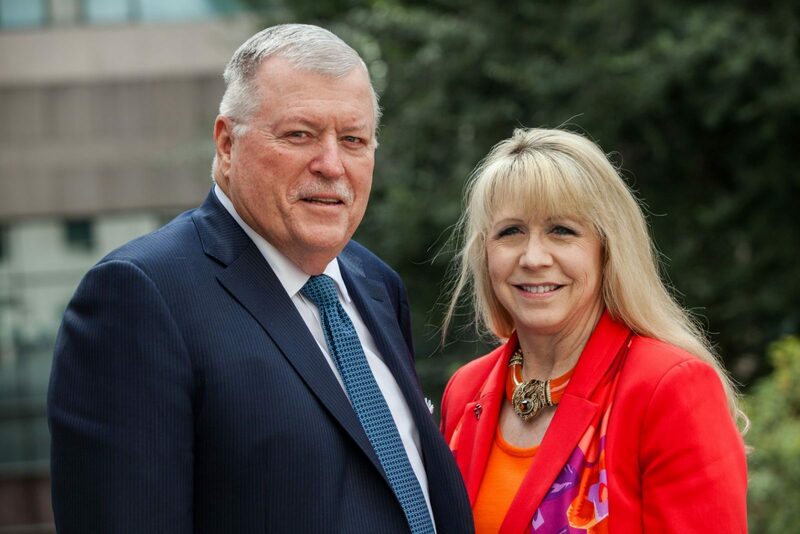 Established by United Way more than 30 years ago, the Tocqueville Society brings together the most generous investors, who are acting together as a catalyst for change in the community. 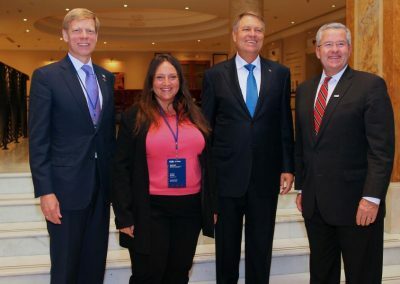 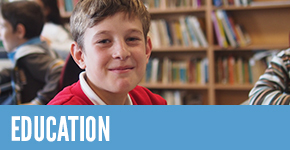 At an international level, Tocqueville counts over 25,000 members.